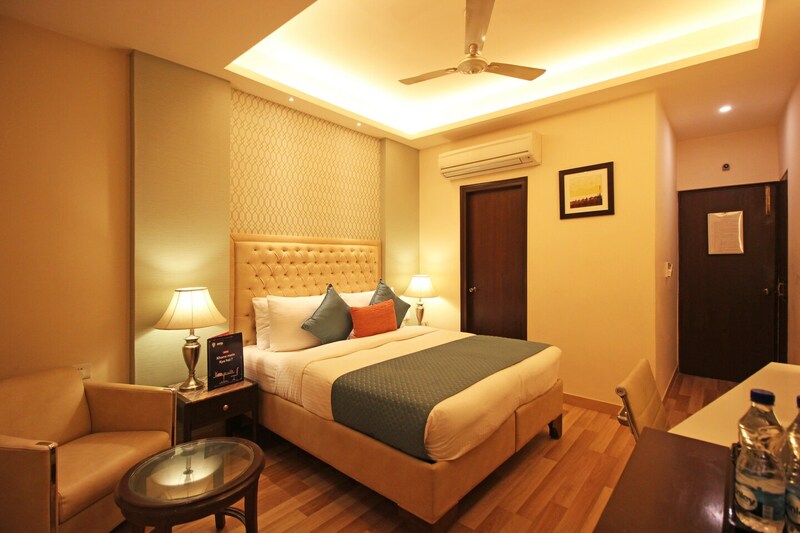 Hotel Clark International is a chic hotel situated in the very centre of Karol Bagh area of New Delhi and located close to Karol Bagh Metro Station and Rajendra Place Metro Station. The tourist can visit Jantar Mantar, India Gate and Parliament of India. Hotel Clark Inn is a stylish and upmarket lodging which impresses with its elegant interiors, warm ambience, compact yet comfortable rooms and carpeted hallways with royal seating arrangements. The hotel entertains guests with all basic amenities like air conditioner, free Wi-Fi, television and hot water availability and also provides room heater, hair dryer and elevators. There are various popular food joints located nearby.